As a pioneer of Derma Needling Systems, bioGenesis continually seek for better approaches to satisfying customer needs, and we belief that the bioGenesis DNS G series is the ideal respond to the development of improved needling systems. The blueprint of the bioGenesis DNS G series is based on the concept of improving flexibility. The design rides on the success of the original DNS Classic Roller, improving on ergonomics and featuring a range of extended functions. The original Derma Needling System with the most effective piercing technology. The results achievable can only be described as stunning. While extending the benefits of Derma Needling Systems, the DNS G series also maintains the same high quality and ground breaking effectiveness of all its predecessors. It is definitely one of the most convenient and revolutionized Derma Needling System available on the market. 1. Remove the roller from the sealed packaging. 2. Sterilized the roller with detergent if necessary. 3. Cleanse treatment area thoroughly. 4. Apply serum or lotion to treatment area. 5. Remove protective head piece. 6. 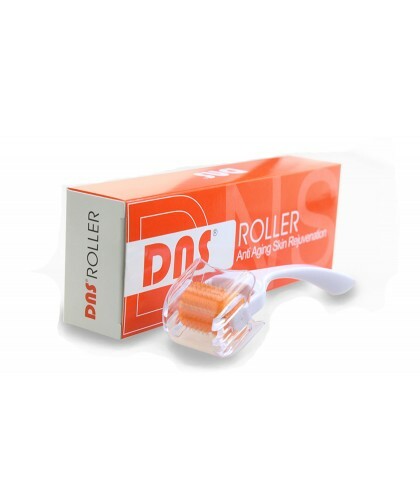 Gently roll the roller over the treatment area 4 – 5 times in each direction. 7. Apply cooling mask to treatment area. 8. Rinse of residual with fresh water. 9. Apply serum or lotion to treatment area. 10. Disinfect the roller and secure the protective head piece. 11. Store the roller in a cool dry place until next use. Please click star icon to rating for this product. 2006 – 2020 bioGenesis DNS London All rights reserved.